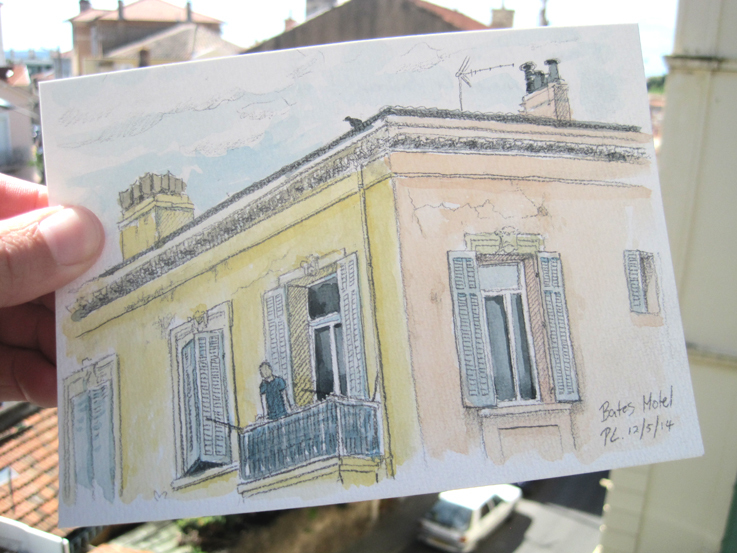 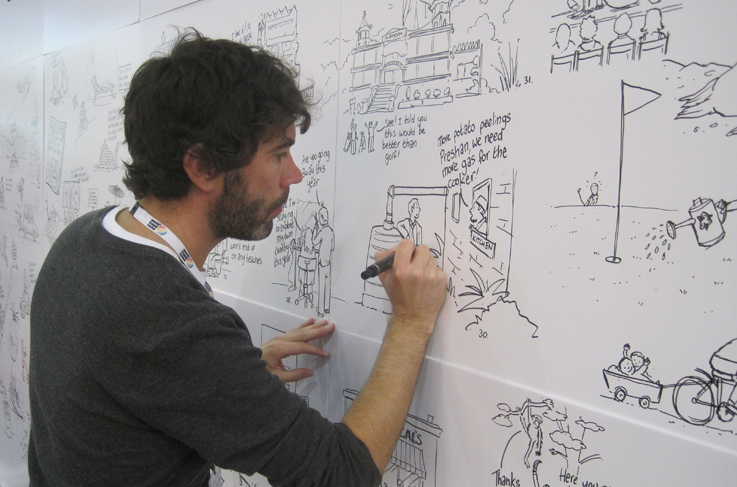 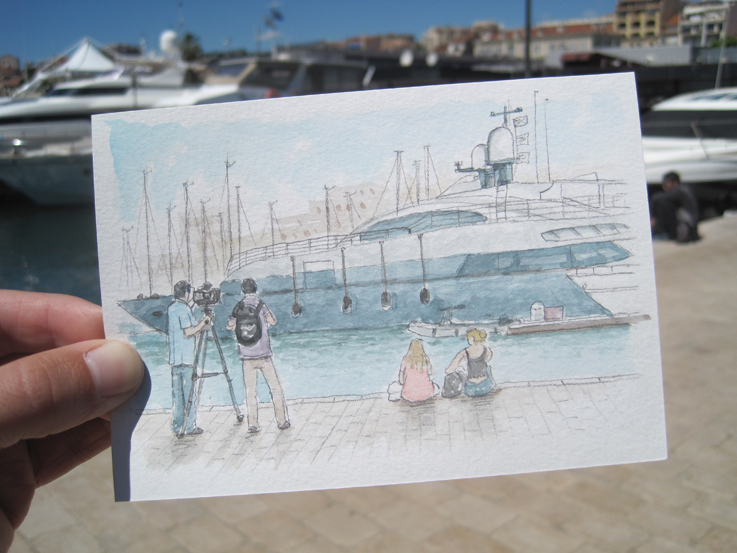 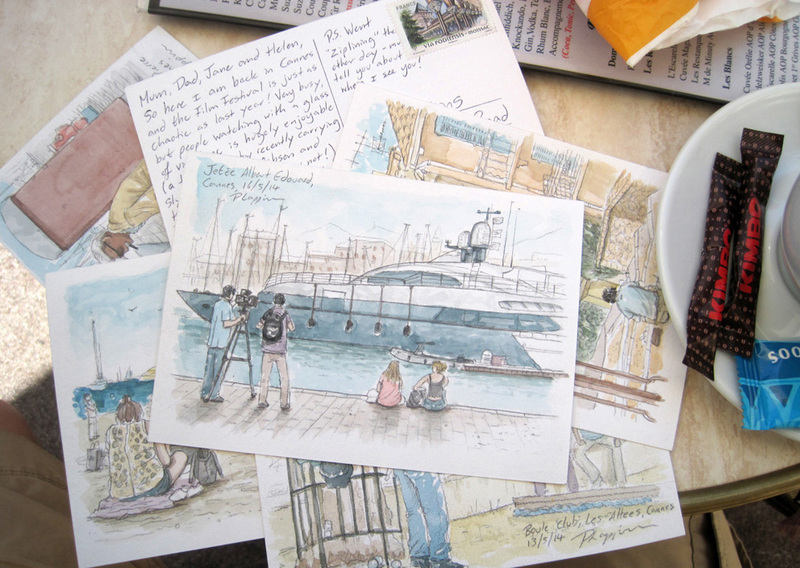 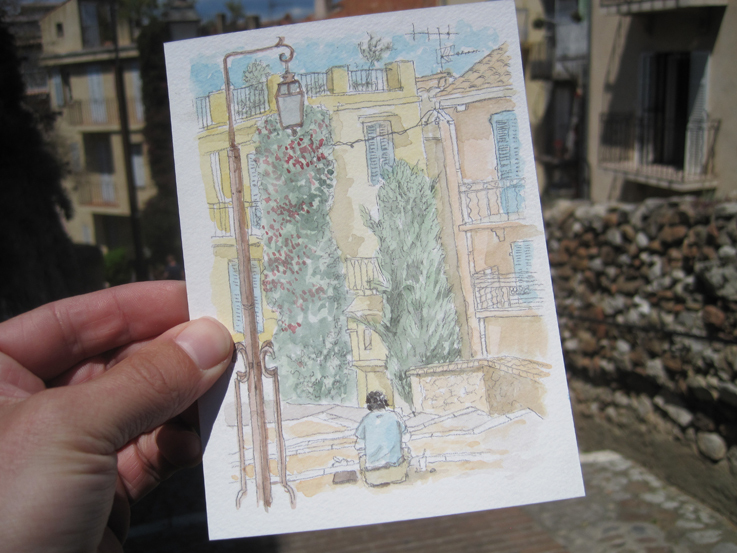 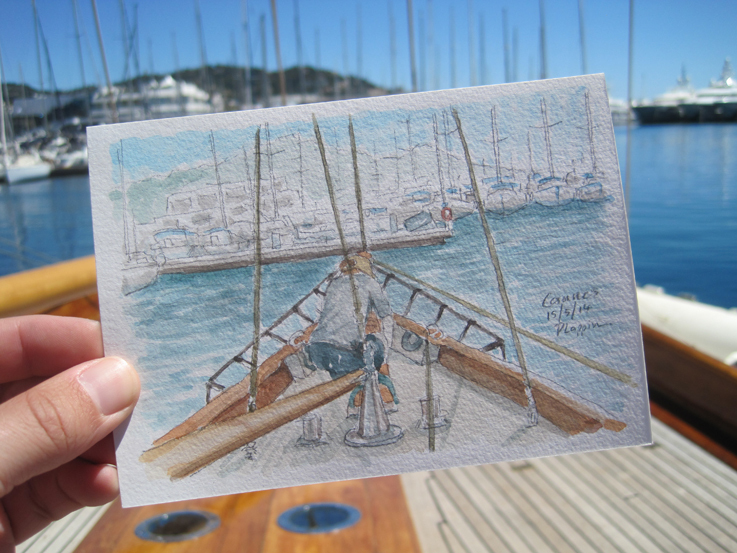 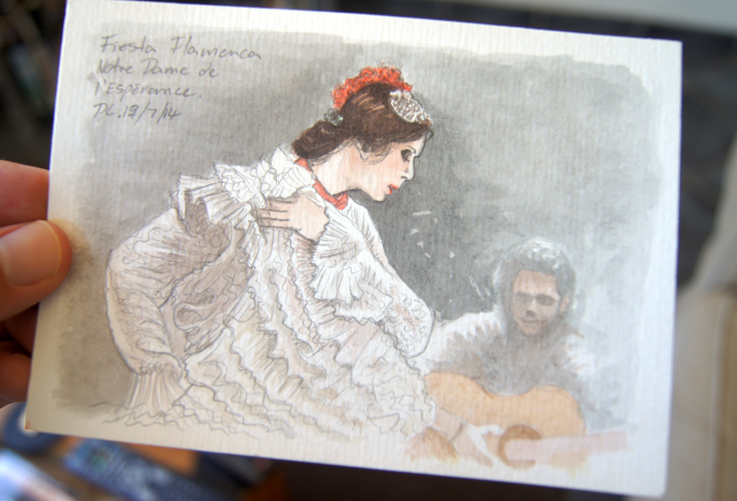 On a recent trip to the Cannes Film Festival I dabbled with watercolours. 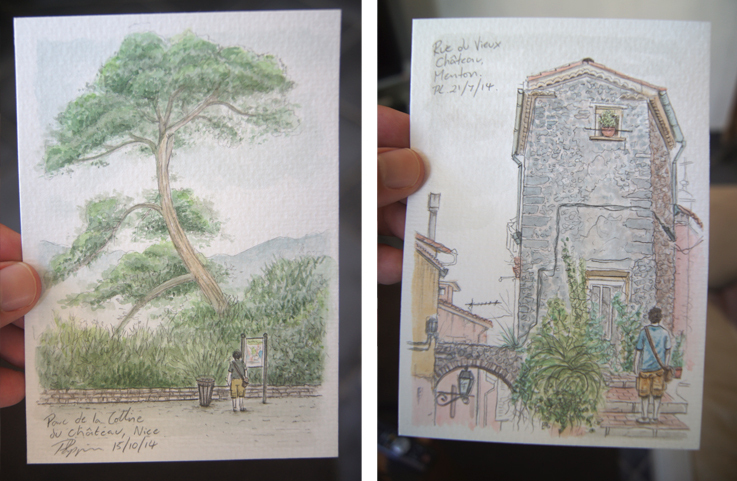 I gave many of the paintings away as soon as they were dry but the majority I sent to family and friends as postcards. 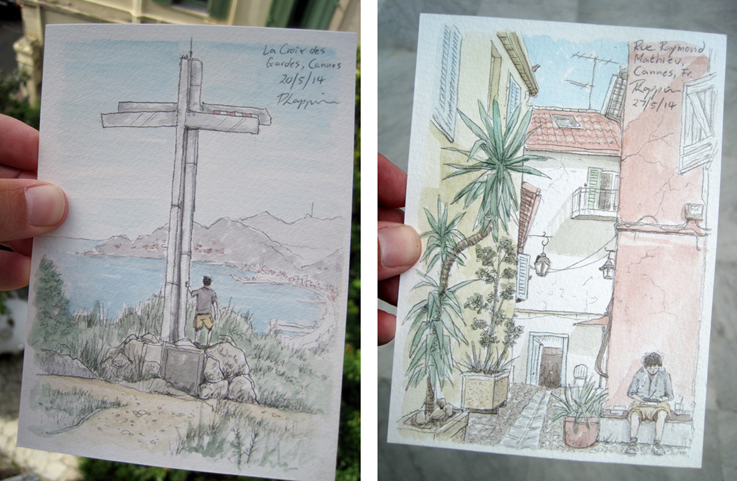 I’ve no idea how many of them arrived in one piece, but I’m hoping that there’s a not too crumpled postcard on at least one fridge door.